The National Highway Traffic Safety Administration (NHTSA) has responded to Tesla’s claims that its Model 3 is the “best” new car on the market. In a blog post on its site, Tesla said the overall Vehicle Safety Score for the Model 3 is the best such score of any vehicle in the agency’s public records. "We engineered Model 3 to be the safest car ever built. Now, not only has Model 3 achieved a perfect 5-star safety rating in every category and sub-category, but NHTSA’s tests also show that it has the lowest probability of injury of all cars the safety agency has ever tested," the company said. The NHTSA issued a statement of its own on Tuesday, clarifying that there is no “safest” vehicle. The federal agency said that its crash tests combine into an overall safety rating and that it doesn’t rank vehicles that score the same ratings. 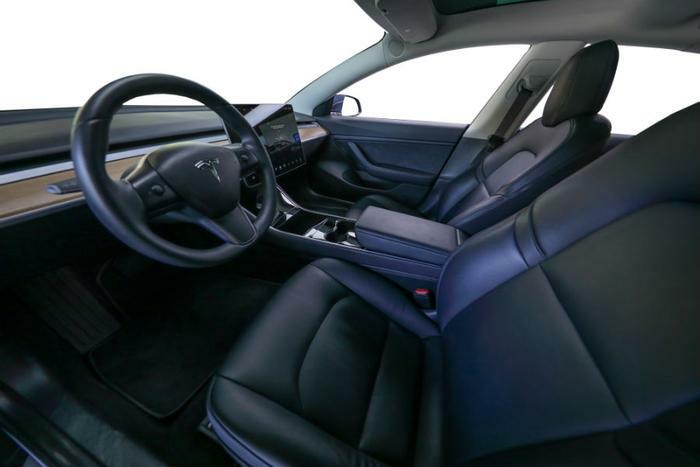 The agency didn’t specifically mention Tesla in its statement, but the timing and nature of the announcement strongly suggested that it was issued in response to the automaker’s October 7 characterization of its Model 3. In recent testing, Tesla’s Model 3 earned five-star ratings across the board. The electric sedan performed well in frontal and side crash tests, as well as rollover prevention. However, the 2018 Ford Mustang, Honda Accord, Subaru Impreza and Legacy, and Toyota Camry also scored five stars in those categories in recent testing by the agency. With its statement, the NHTSA appears to have taken issue with Tesla’s adoption of superlatives like “safest” and “perfect” regarding the ratings its Model 3 recently received. The agency clarified that although the vehicle performed well in safety tests, saying that a particular score makes it the “best” is misleading to consumers. Tesla released an analysis of publicly available NHTSA crash test data that it says demonstrates that the Model 3 has the lowest probability of injury of any car, with the Tesla Model S and Model X ranked second and third.